A fantastic pre-launch tasting with Coravin founder Greg Lambrecht on July 1 in Düsseldorf's D'Vine put smiles on several wine geeks' faces! The highlight for me was the 1996 Clos de Vougeot from Rene Engel, a masterpiece of Vougeot, coming from the upper part, closer to the castle. Silky, intriguing, massively attractive with lots of forest fruit. Seductive all the way! While the 2002 Corton Charlemagne from Bonneau du Martray provided lots of charme, depth and persistence, Ponsot's 2002 Morey St. Denis Clos des Montluisants Blanc was shining so bright and was a pure enjoyment. Frank & Werner Schönleber's Halenberg GG 2012 was a textbook example of fine Nahe Riesling (still oh so young!) and whereas the 2002 Hermitage Rouge from Jean-Louis Chave was still youthful, slightly shy but one could see the massive potential of this fine wine. Finishing off with a taste of 1998 Sassicaia and 1986 La Mission Haut Brion made this an absolute memorable lunch. Needless to say that the Coravin was worked perfectly by the the somms and distributors. 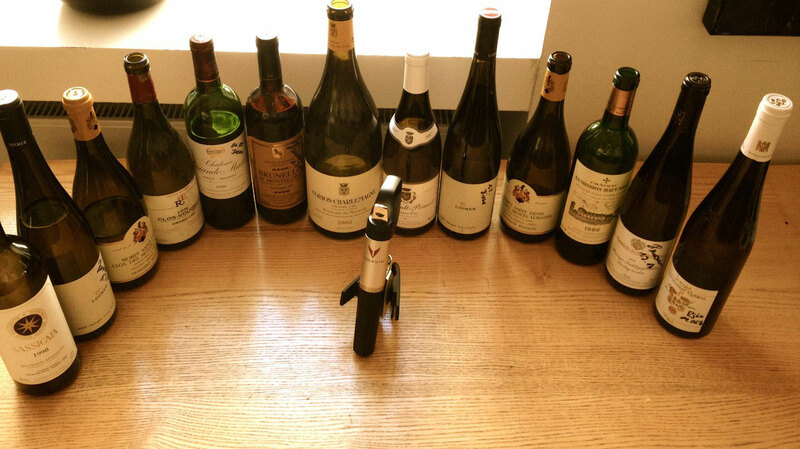 Coravin blind tastings scheduled for Oct 13 (DUS) and 14 (MUC)...they should be as exciting!